and I am reasonably confident that I grasp the general concept of imaginary numbers. It took me a while when I was a student to realise that “imaginary” here meant “being capable of being imagined” and not something that ” did not exist and could only be imagined”. I have much greater difficulty in following the concepts of “anti-matter” and why it is rational and necessary that anti-matter must exist. But I am no high energy physicist. On the other hand, I have no difficulty in “imagining” an alternative universe composed of anti-matter subject to anti-gravity, lit up with anti-light and which presumably began with an anti-Big Bang (an implosion)! But why anti-matter must exist in our universe is something I am content to leave to physicists. But like black holes they make me vaguely uncomfortable and I suppose it’s a good thing that anti-matter does not exist naturally on the earth’s surface. Of course if the physicists could suggest how I could use anti-matter to annihilate about 20kgs of my mass I would sign on immediately! The modern theory of antimatter begins in 1928, with a paper by Paul Dirac. Dirac realised that his relativistic version of the Schrödinger wave equation for electrons predicted the possibility of antielectrons. These were discovered by Carl D. Anderson in 1932 and named positrons (a contraction of “positive electrons”). Although Dirac did not himself use the term antimatter, its use follows on naturally enough from antielectrons, antiprotons, etc.A complete periodic table of antimatter was envisaged by Charles Janet in 1929. 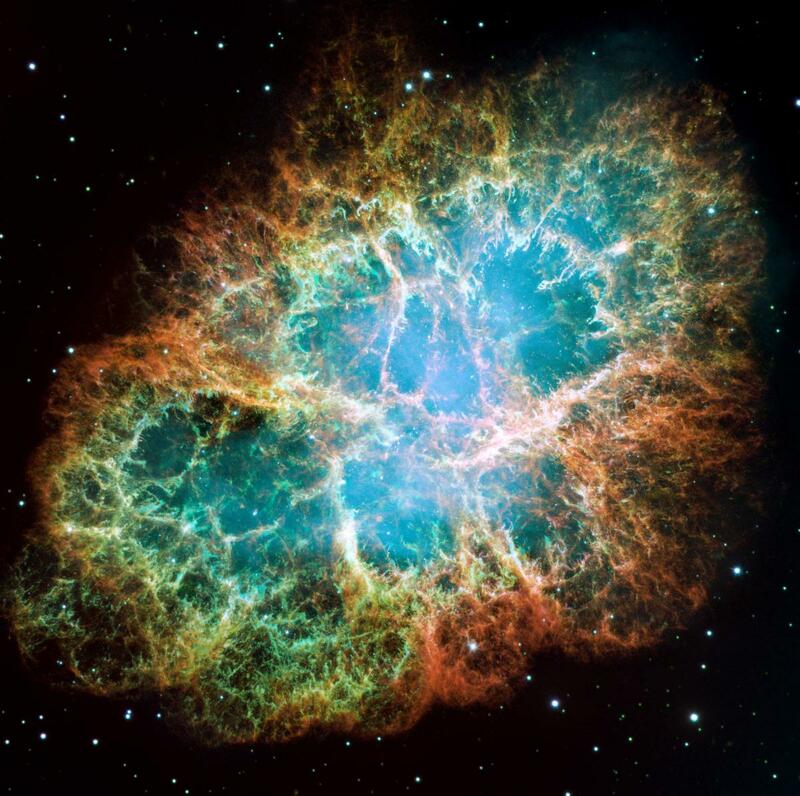 Antimatter cannot be stored in a container made of ordinary matter because antimatter reacts with any matter it touches, annihilating itself and an equal amount of the container. Antimatter that is composed of charged particles can be contained by a combination of an electric field and a magnetic field in a device known as a Penning trap. In any case, when cosmic rays smash into molecules in the Earth’s upper atmosphere, a shower of smaller particles is created. Physicists have assumed that a small number of those resulting particles will be anti-protons. Most of those will be instantly annihilated when they collide with particles of ordinary matter. 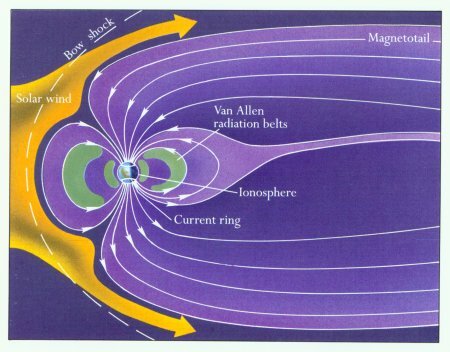 But those which don’t collide should get trapped in the Earth’s torus-shaped Van Allen radiation belt, and form a layer of antimatter in the Earth’s atmosphere. It was one of PAMELA’s goals to hunt out those tiny numbers of antimatter particles among the ludicrously more abundant normal matter particles, like protons and the nuclei of helium atoms. To find them, the satellite regularly moved through a particularly dense section of the Van Allen belt called the South Atlantic Anomaly. Over a period of 850 days — from July 2006 to December 2008 — sensors aboard PAMELA detected 28 anti-protons. That might not sound like much, but it’s three times more than would be found from a random sample of the solar wind, and is the most abundant source of anti-protons ever seen near the Earth. But what does this discovery mean, other than proving that a bunch of theorizing physicists were correct? The discovery opens the doors to harnessing those anti-protons for a variety of medical, sensing and, most importantly, rocket-propelling applications.